Want to do some fun, easy nail art? Here are my 3 short tutorials how to achieve each of these looks in only minutes. These are the particular nail art tools used for each design. 1. 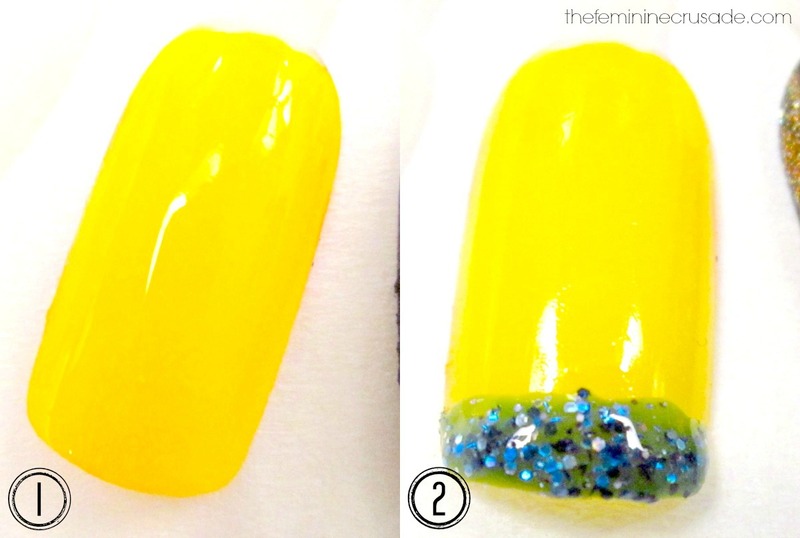 Paint your nail two coats of yellow nail colour. 2. 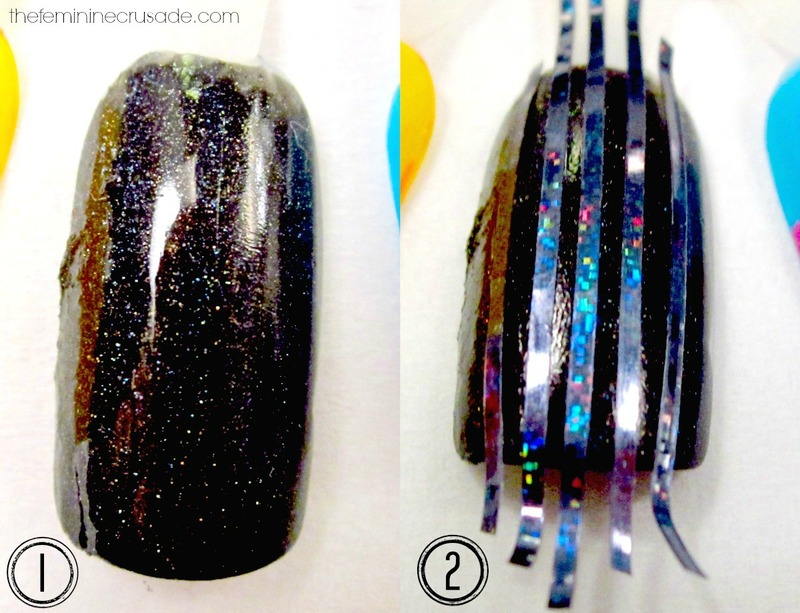 On the tip either with a french manicure tape or freehand add 1-2 coats of the glitter nail polish. 1. Paint your nail a neon blue. 2. With a neon pink nail polish randomly make small uneven dots on your nail. 3. Using the nail art pen define the pink dots leaving one side open. 1. Paint your nail with black nail colour. 2. Stick the striping tape vertically leaving slight gaps as shown in picture. 3. Coat your nail with a gold glitter nail polish. Do 2-3 coats until opaque. 4. Without giving your nail the time to dry take off the tape carefully. All the Born Pretty Store products including the nail wheel can be bought from their online shop with a 10% discount using the code VXL91. 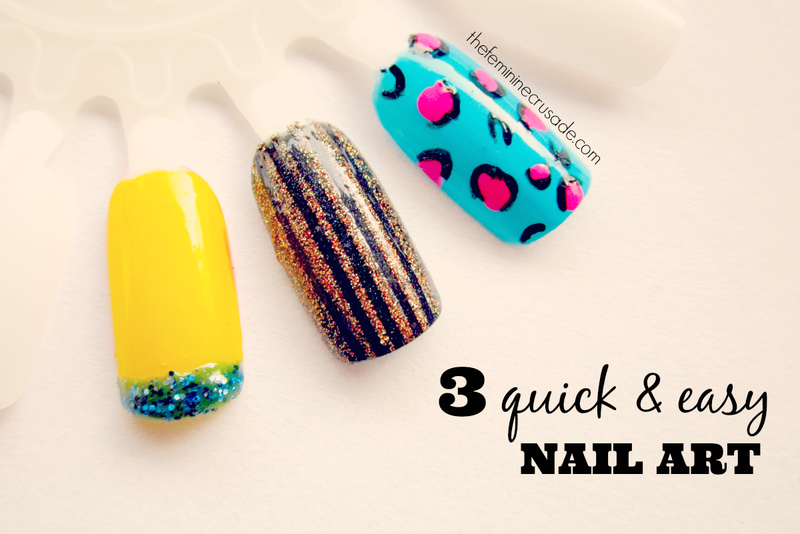 So which nail art would be your favourite from the three? Disclaimer: Born Pretty Store Glitter Striper was sent to me for consideration to review. I was not paid for this review, I am not affiliated with this company and the fact that the product(s) was free does not influence my opinion at all.